We all emerge from childhood with a picture of how we want life to be. We dream about our future lives with our perfect families and perfect jobs. Yet, rarely does life go the way we anticipated. And we're left with the temptation to take matters into our own hands. David modeled a different approach - an approach focused on surrendering control rather than taking control. 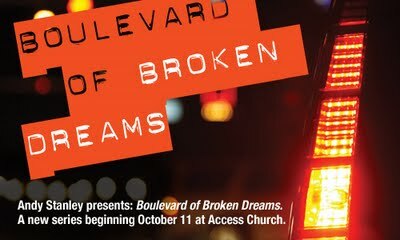 Join us this Sunday, October 11, at Access Church for the first part of this two-message series. See you there!